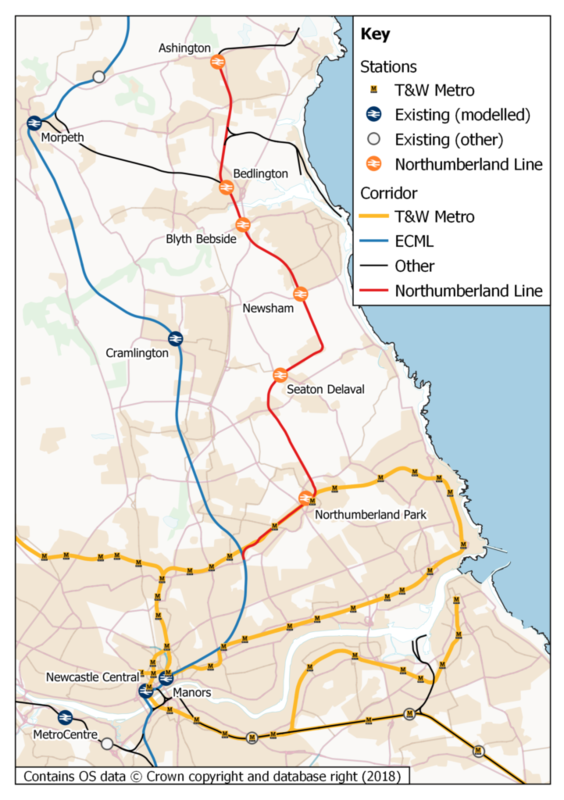 Northumberland County Council’s plans to reopen the line from Newcastle upon Tyne to Ashington via Blyth to passenger services by 2022 have taken a step forward with the completion of the Strategic Outline Business Case for the plan. The plan to bring passenger services back to the Northumberland line will involve upgrading the existing freight line between South East Northumberland and Newcastle Central. A number of new stations will link towns to key areas of employment, training and leisure, and the plan could boost the local economy by up to £70 million. Prepared by AECOM and SLC Rail, the SOBC outlines the project’s wider economic impacts, such as housing and job opportunities, and includes a number of alternative delivery and funding model options for reinstating the line. Work will now move on to the next phase of the project, which will include a market engagement exercise intended to secure the best value capital and operating costs for the proposed line and to help attract public and private investment for the scheme. This phase will be delivered by Perfect Circle, a consortium comprising Pick Everard, Gleeds and AECOM, on behalf of Scape Group’s Built Environment Consultancy (BECS) framework. Scape is a public sector organisation dedicated to creating ongoing efficiency and social value via the built environment. Consortium partner AECOM will continue to work with SLC Rail, providing technical consultancy, business case development, project management and modelling services for the scheme. AECOM’s Russell Jackson, head of rail for Europe, Middle East and Africa, added: “This scheme is not just about delivering an infrastructure project. By focusing on its broader economic benefits, and through early engagement with stakeholders to explore exciting new delivery options, we’re building a compelling case that will help push this much-needed project forward.